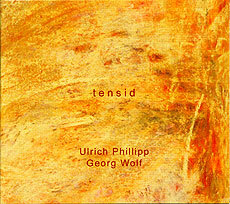 Ulrich Phillipp, double bass; Georg Wolf, double bass. Recorded on 5 October 2002 during Pol 8 Festival, Moustonturm, Frankfurt/Main. Cover (reproduced above) design by Ulrich Phillipp.